Greetings, all you Black Friday blog-readers. I’m writing live from scenic My Grandmother’s House, as indicated by the different plate and tablecloth. I wanted to get a post up on Thanksgiving, but after spending half the day driving, and then Thanksgiving dinner and checking out the Christmas lights display…well, the post didn’t happen. But here I am again, back today with Isaiah 40. The chapter begins with a command from God: “Comfort, comfort my people,” (40:1), so let’s take a look at the comfort he proposes. This chapter is rife with imagery. For the second time in the book, Isaiah envisions a highway, as a voice calls out, “In the wilderness prepare the way for the Lord; make straight in the desert a highway for our God” (40:3). In chapter 35, we saw the Highway of Holiness, a place where those redeemed by God can travel free from evil and danger. Here, though, the highway is for the Lord himself to travel. Its primary purpose? God’s glory: “[T]he glory of the Lord will be revealed” (40:5). In the gospel of Mark, Mark identifies the voice announcing the highway with John the Baptist (Mark 1:2-4), preparing the way for Jesus Christ himself. In doing so, Mark implies that Jesus Christ is the Lord in the flesh–and if God himself walks among humans as a human, that’s comfort indeed. Beyond the highway, Isaiah employs a range of similes to contrast humanity with God. 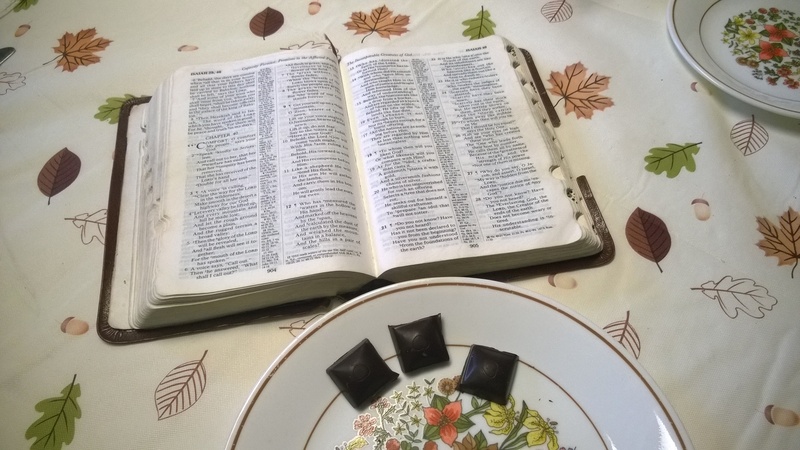 First, he compares them to grass, underscoring how short-lived they are: “The grass withers and the flowers fall, but the word of our God endures forever” (40:8). He next compares humanity to water drops and motes of dust. He sets up the simile with a question: “Who has measured the waters in the hollow of his hand…[w]ho has held the dust of the earth in a basket?” (40:12). The answer, of course, is God, whose power extends over every body of water and every land mass on the planet. Humanity, though, Isaiah depicts as the tiniest part of the water and land: “Surely the nations are like a drop in a bucket; they are regarded as dust on the scales” (40:15). He goes on to describe the people as “grasshoppers” (40:22). Next to God, human beings are nigh-microscopic, all but impotent, profoundly ephemeral. Good news: compared to God, you’re of minor importance at best! Some comfort, right? But while humanity is compared to a wide range of insignificant things, Isaiah employs only one analogy for God himself. Isaiah states, “He tends his flock like a shepherd: he gathers the lambs in his arms and carries them close to his heart; he gently leads those that have young” (40:11). As a shepherd, God cares for his flock with gentle compassion, embracing and leading them. You might think God would care nothing for our race of grass, specks, grasshoppers, but Isaiah thinks otherwise. He asks, “Why do you complain, Jacob? Why do you say, Israel, ‘My way is hidden from the Lord; my cause is disregarded by my God’?” (40:27). It doesn’t matter to God if humanity matters, because they matter to him. That’s how committed he is to them–so take comfort. 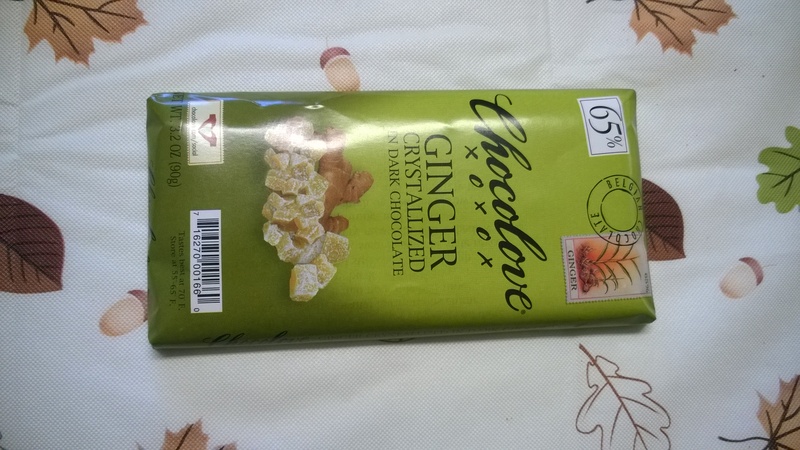 I opened up a new chocolate bar today: Chocolove’s ginger in dark chocolate. It’s pretty good, if a little more spicy than I’m used to in my chocolate of the day. Posted in Daily Reading, Isaiah, Mark, Old Testament.Tagged bible, christianity, comfort, existentialism, God, gospel, Isaiah, Jesus, metaphor, prophecy, scripture.